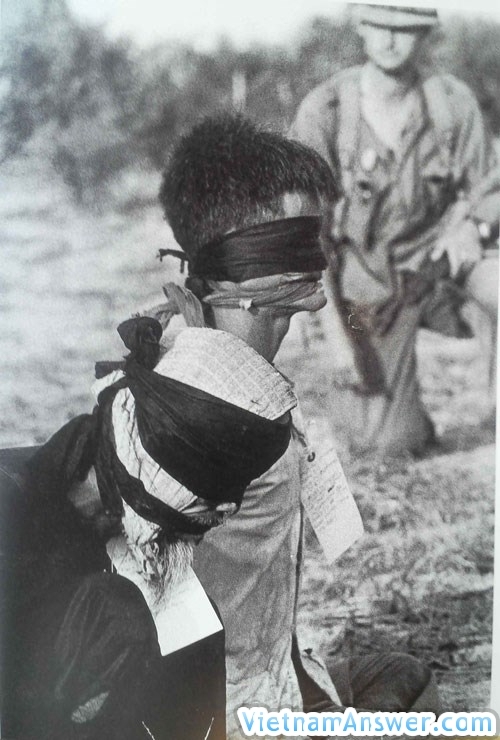 Kyoichi Sawada, a Japanese photographer with United Press International, received the 1966 Pulitzer Prize for Photography for his pictures of the Vietnam War. One of these photographs was also named "World Press Photo of the Year" in 1965. “Flee to safety” shows two Vietnamese mothers and three children wading across a river at a rural village in Binh Dinh Province to escape a US bombing. The three children in the photos are still alive. They are Nguyen Van Anh, 64, and his sister Nguyen Thi Kim Lien, 58, and Nguyen Thi Hue, a 52-year-old woman. Tran Thi Ba, the mother of Anh and Lien, and Le Thi Dao, Hue’s mother, have passed away. 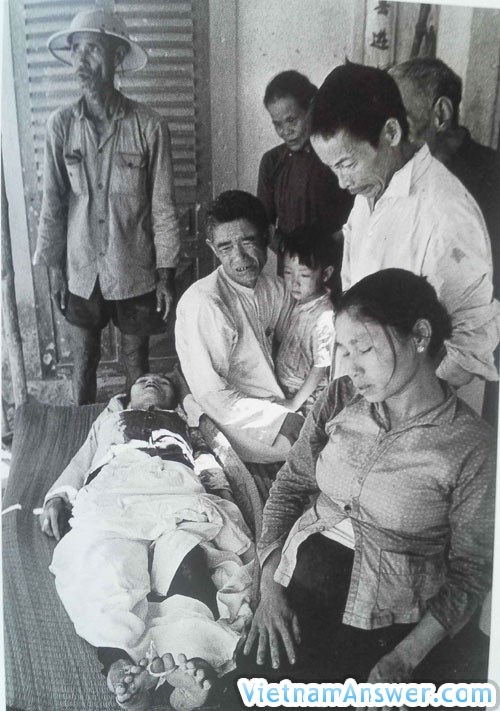 Sawada died together with Frank Frosch, UPI bureau chief, in 1970 on their way to the Kirirom Pass in Cambodia. 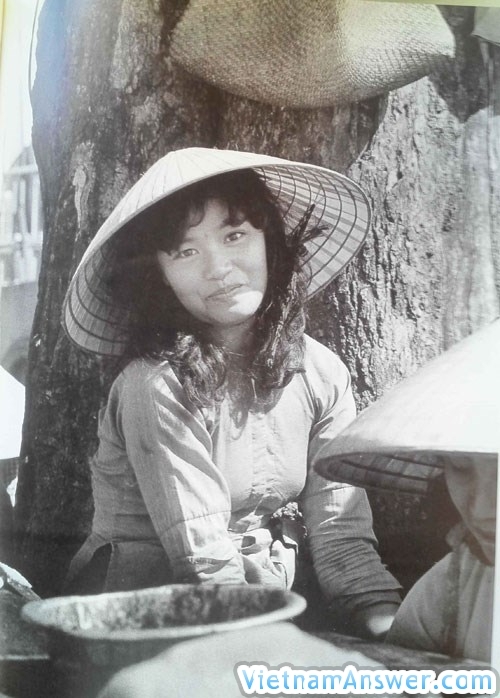 In 1989, his wife visited Loc Thuong Village, where Sawada shot the famous photo “Flee to safety” and gave Anh an album of his photos taken in Japan, Vietnam and Cambodia between 1954 and 1970. 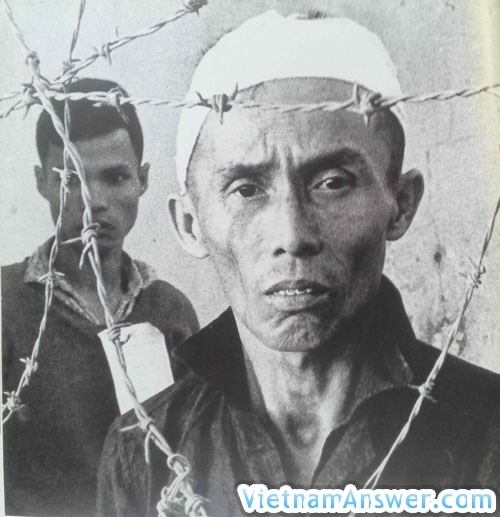 The album includes heart-rending photos depicting Vietnamese people during the war from 1965-1970. Below are some of the most memorable photos in this personal collection. The famous photo "Flee to safety"
A Vietnamese woman at the gunpoint of a US soldier in Quy Nhon, Binh Dinh Province, on September 6, 1965. US soldiers shoo Vietnamese people out of a bomb-ruined house in Quy Nhon on September 6, 1965. 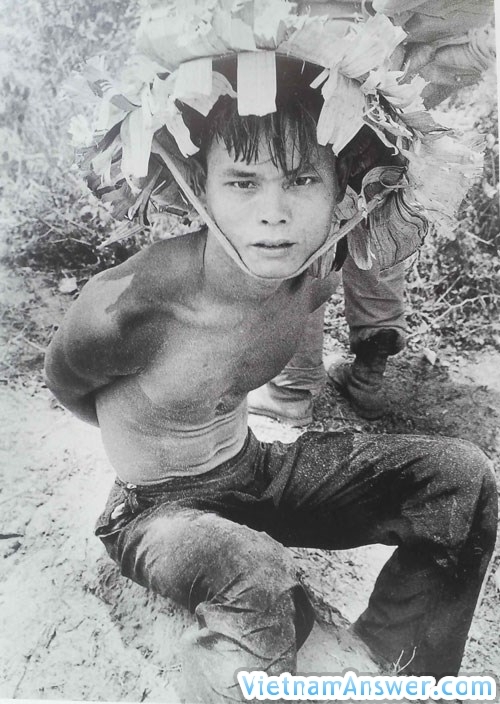 Vietnamese children are taken to a forest near a beach in Da Nang during a US attack on October 25, 1967. 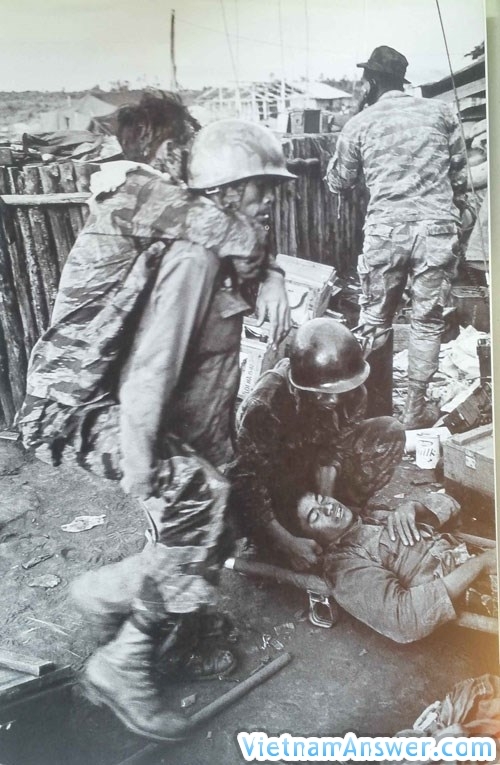 A US soldier takes care of an injured Vietnamese boy. 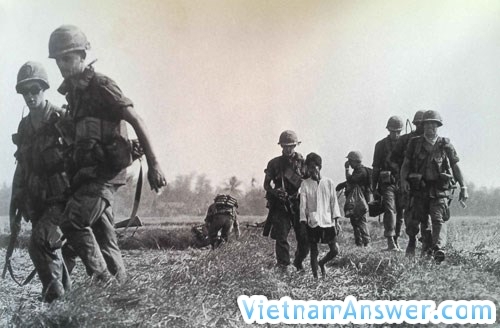 A mother and her two children taken to an empty land plot by US soldiers on May 18, 1967. 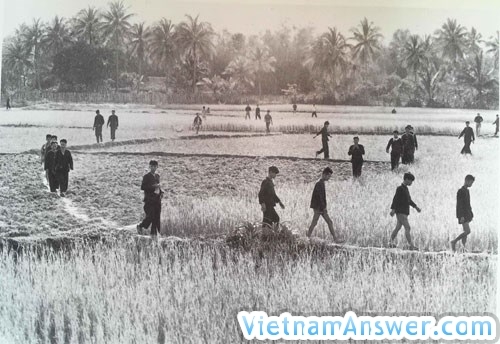 Vietnamese people at a "strategic hamlet" in Ben Suc Village, Dau Tieng District, on January 14, 1967. 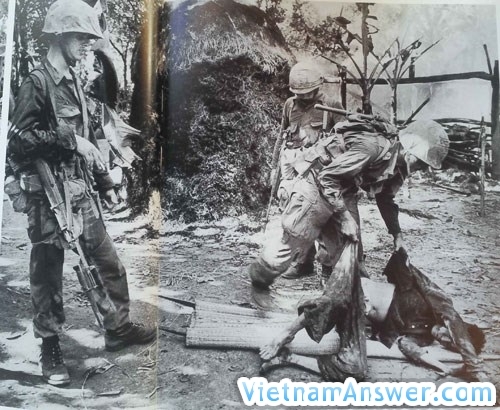 Soldiers of the South Vietnamese regime during the Siege of Plei Me on October 22, 1965. A family mourns the death of a member, who died during a US bombing, at an unidentified location on September 11, 1966. 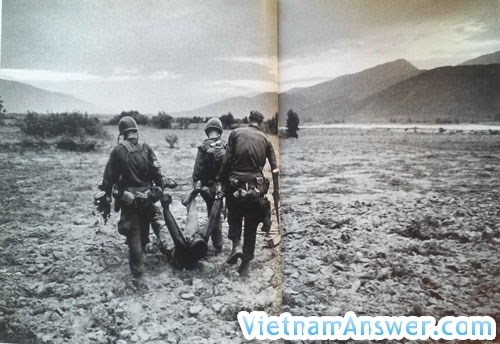 US soldiers carry the death body of a fellow in Da Nang in 1966. 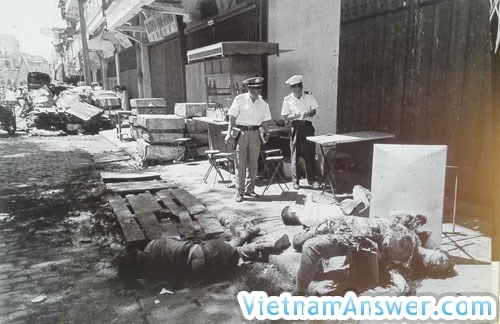 US soldiers kill a Vietnamese man in Chu Lai, Quang Nam Province, in 1965. Vietnamese people in Phu My District, Binh Dinh Province, take shelter from bombings. 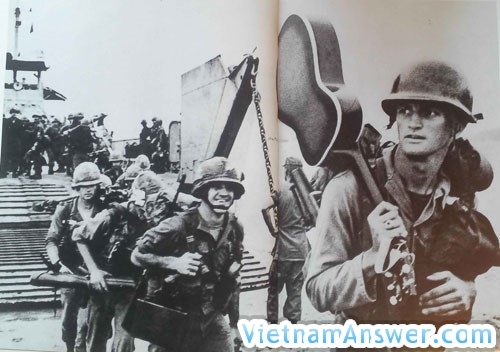 What Americans people tended to oppose the Vietnam War?